I agree with Exum, customer service is AWESOME. Honestly, the best of the companies that I work with. Love the new webplayer. I have switched to it completely. A suggestion would be to have a link to the show note. Not sure how that would work but creating a "pop up" of show notes or something makes the listening experience even better. Can you tell me what his the size of the image that i can put in this new Audio player embed widget please? Because i try to upload a picture. It is not working for me. What is the size SHOULD i use for this new widget if i want to upload my pic ? Hi there. For the best result, we recommend using images with a size larger than 1000×1000 px. If you will still experiencing some issues, could you please write us at support@spreaker.com and sending us also a screen shot of it? Thanks! The average podcast lasts about 30 minutes. Users listen to about 22 minutes per podcast. Users prefer podcasts that last less than 16 minutes. The average commute time in the U.S. is 25 minutes. Spreaker: Podcast 77% or Live 23%. 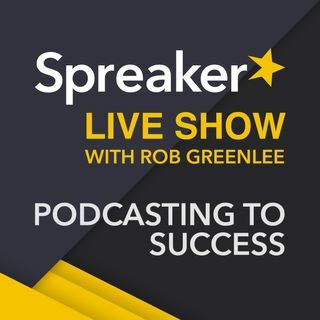 Time Spent Listening on Spreaker is 24 min - Stream/On-Demand, Live 26 min on average. A look at the top 25 podcast in iTunes showed that if you release on a single day, it would be Tuesday. 60% of those shows posted before Wednesday and the top day was Tuesday. Weekend listening to podcasts is lower than Mon thru Friday. Forty percent of the Top 25 podcasts with a regular posting schedule publish once per week. The next most common frequency is twice per week. I have 2 podcast running of 2 different catagories. Backyard Steakout Presents is weekly on a Thursday with one guest, me and my co-host for 30 min. The other is Good Ol' Days is 30 min. weekly and put out on a Monday with a guest, me and my co-host. Both seem to be a good running time and both seem to have the same number of listeners. I don't do live because the guest sometimes say they can't do it at the scheduled time so I always pre record and have a couple on the back burner in that case. I'm in Florida and my co-host is in California so we split the timezone difference with guest who are all over the US. Works out really well. I had been considering a change for the next "season" of my show "Jim Duke Perspective" and thinking of going with longer shows. After hearing your show it settled a conflict I had and I decided to actually shorten my shows instead. Thanks for your infomrative instructional show. I'm learning a lot that I hadn't considered. Before beginning our shows, we discovered Tuesdays and Fridays to be the best and around 20 minutes in length as we are comedy and music. We also are on in the mornings (Pacific time) and early afternoon (Eastern time) which kind of fits with the terrestrial radio comedy and music time slots. Glad to have found your channel! Thanks for the shout out! Keep up the great content. As someone who listens to podcasts mainly when driving (or walking my dog) I prefer the long format. Its been friustrating the last week as some of my favourite podcasts have been cut short, meaning I have run out of things to listen to. Being in the car, its hard to search for other podcasts - plus illegal to use the phone whilst driving. Thank you for listening today!